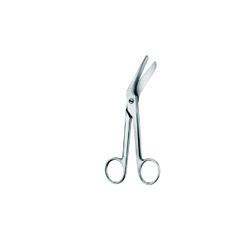 Our product range includes a wide range of surgical instruments. With innovation in our forte, we have been engaged in manufacturing and supplying the finest grade of Surgical Instruments that are in compliance with the standards of medical sector. Approved by the authorized authorities, our surgical products are broadly availed by a number of hospitals and clinics. Meeting the diverse medical requirements, we have been manufacturing the surgical instruments in varied customized specifications.